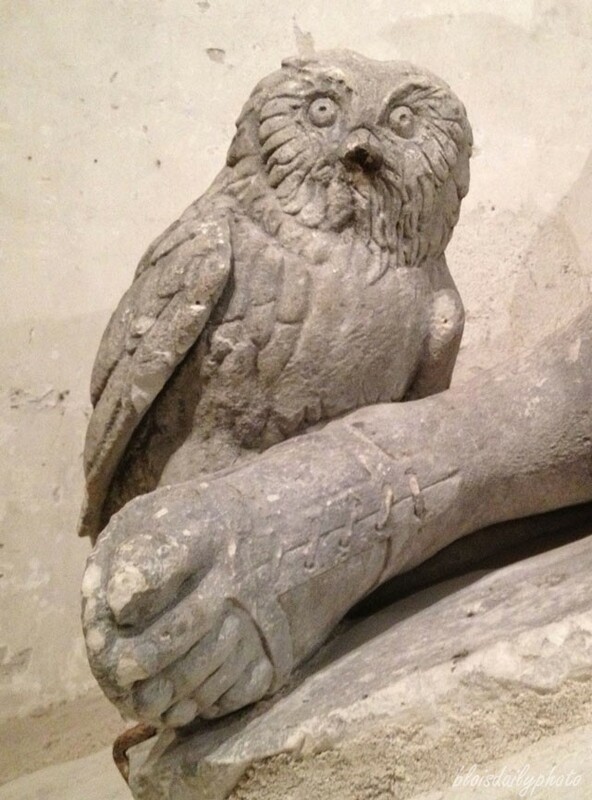 This owl is at the foot of reclining statue in the lapidary section of Blois Castle but that is all I know. Ce hibou se trouve au pied d’un homme couché sur le côté dans la section lapidaire du château de Blois mais je n’en sais pas plus. Posted in: Art, Birds & butterflies, Blois castle. Tagged: Blois Castle, Blois Daily Photo. Judging from the expression on the owl’s face, I think he just got kicked by the foot ! I think you’re right! He does have a somewhat smashed expression. At a guess I’d say the sandalled foot belongs to a soldier (dressed in Roman or maybe Greek style). The owl is associated with Athena, one of the deities who protected soldiers.